The Lions’ impressive cup run comes to an end in Glasgow. It was an early rise for the Nottingham Lions on Saturday morning as they made the long journey north to Glasgow to play their quarter-final clash against Edinburgh Hotscots in the GFSN Cup. The players arrived optimistic, in the hope of continuing their impressive cup run. The Lions kicked off with a 4-4-2 formation, in the hope of keeping numbers behind the ball. In the first few minutes, it was clear to see that this would be a fairly even battle, with both teams creating good passages of play, with nothing yet to stick. However, Hotscots soon found their edge, scoring the first goal of the match in a hotly contested first 20 minutes. With the Lions holding a high defensive line in the hope of keeping the pressure away from their goal, the Hotscots’ keeper took a long clearance, finding the Hotscots’ striker who skilfully chipped the ball over Andrew P. Iain G very nearly cleared the shot off the line but unfortunately it still found the back of the net and the rivals took the lead. 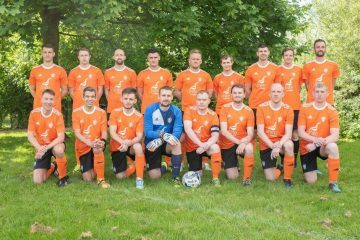 The Lions’ heads however did not drop, they kept the pressure on their rivals, with Gareth D and Robbie J both chasing the ball down upfront. Robbie J found himself one on one with the keeper and burying the ball in the back of the net, unfortunately the side flag came up and he was ruled offside, this kept the scoreline of 1-0 to Hotscots. Hotscots kept on the attack, inspired by their 1-0 lead they also had a few one on one opportunities with our keeper Andrew P, who was tested at times but kept the ball out of his net with some quality saves. The Lions came out fighting, showing their determination by continuing their pressure of the Hotscots’ backline, creating good passages of play and making some opportunities that they unfortunately could not put away. With fatigue setting in, the last 10 minutes saw Hotscots pile the pressure on the Lions, in the hope of furthering their lead. A Hotscots player took their chance, chasing down a clearance from Andrew P and finding the back of the net to set a final score of 2-0 to the opposition. An impressive away day performance from the Lions saw the players come away in high spirits. Travelling for over 6 hours and playing 90 minutes of high level, competitive football kept everyone smiling. 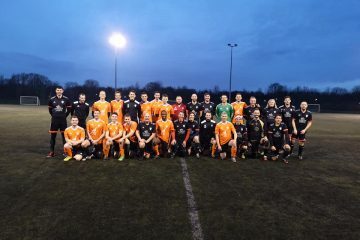 Football has the power to bring everyone together and this was on show after the match, eagerly awaiting a night out to celebrate all they had achieved in this impressive cup run. This was another match in which the Lions wore their rainbow laces in celebration of Stonewall’s campaign to end stereotypes against the LGBTQ+ community in sport. Homophobia, biphobia and transphobia will never have a place in our sport and we implore anyone to get involved where they can, whether for yourself or someone you know. Special mention to Jay M for driving the minibus to and from Glasgow, a true clubman! Next Sunday sees the Lions face off against Yorkshire Terriers at home in the MUL, K.O. at 2pm. 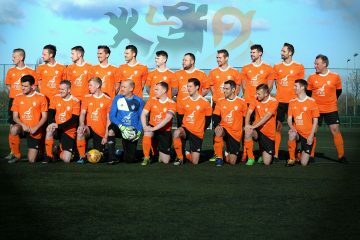 From 1pm onwards, the Lions will be hosting a taster session to allow the general public to meet the players, have a kick about and watch what hopes to be a competitive match of football. If this interests you please follow any of the social media links below and drop a message if you’re thinking of coming down to what promises to be an exciting afternoon!